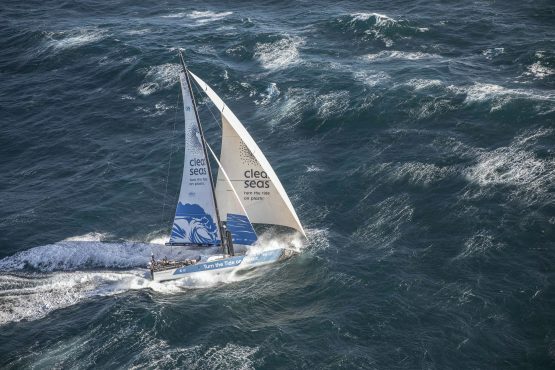 With principal sustainability partner Mirpuri Foundation, the Volvo Ocean Race Science Programme finds highest levels in South China Sea during Leg 6 from Hong Kong to Auckland. The preliminary results found 360 particles of microplastics per cubic metre in the sample from the South China Sea, an area that feeds into the Great Pacific Ocean Gyre. The Great Pacific Ocean Gyre is one of five major gyres, driven by trade and westerly winds, which collect large concentrations of plastic debris. In total, this gyre is thought to weigh around seven million tons and is twice the size of Texas. There were also 75 particles of microplastics per cubic metre found in waters close to Hong Kong and 60 particles of microplastics per cubic metre near Auckland. 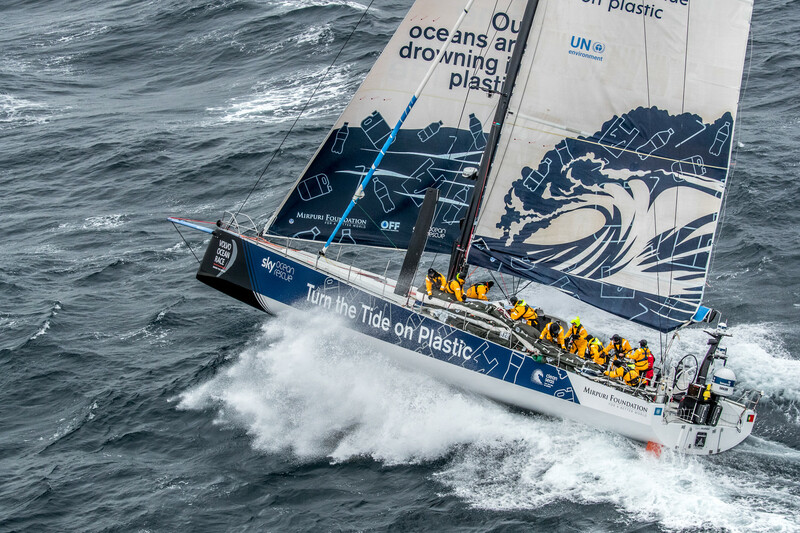 Sailor Liz Wardley took the samples on the Turn the Tide on Plastic race boat, with founding partner Mirpuri Foundation, as it travelled from Hong Kong east into the north Philippine Sea. The high readings coincided with the boat entering the Kuroshio current which feeds the ocean gyre. Dr. Toste Tanhua of GEOMAR Institute for Ocean Research Kiel, funded by the Cluster of Excellence Future Ocean, analysed the preliminary microplastics data at the laboratory in Kiel, Germany. He said: “Microplastic particles are mostly coming from land and are passively distributed by currents that can be very local in extent. 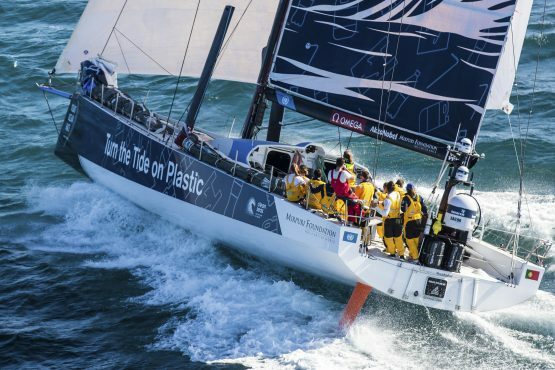 Since the race yachts are not continuously sampling for microplastic it can easily be that concentrations are very different for locations close to each other in areas of strong currents. The route of this leg partially overlapped the track that the boat sampled during the northbound passage to Hong Kong during Leg four, providing a second sampling opportunity in some areas. The level recorded for a similar general area during Leg 4 was ~75 particles per cubic metre. The latest sample is possibly more representative of actual levels as it was taken closer to land and further northeast than the earlier sample. Along the route south through the Pacific and crossing the equator average levels in the areas sampled were ~100 particles per cubic metre. These recorded levels also differed considerably from those recorded during the northbound passage of Leg 4 when 7 particles per cubic metre were measured. Again, prevailing currents in this offshore area will be a major factor affecting microplastic density. Progressing south towards New Zealand the concentration increased from 45, 50, 56 to 60 particles per cubic metre in the sample closest to Auckland.